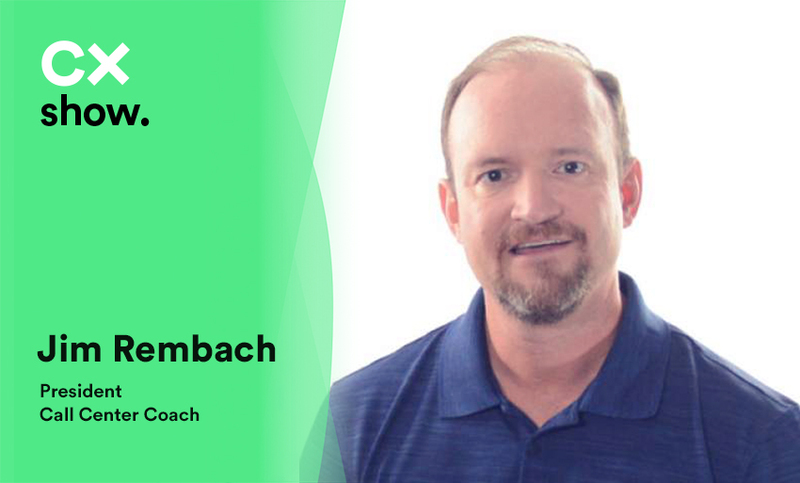 On this episode of The CX Show, our co-founder and CEO, Dan Michaeli, sits down with Jim Rembach, president of Call Center Coach, an e-learning platform which develops contact supervisors skill sets for highly successful front line leaders. With more than 20 years in the call center industry, Jim has made a career combining his interest in finance with his passion for helping people. Being a finance major in college, Jim was able to utilize that knowledge and skill set and apply it to the quantitative aspects of running a call center. He said within the call center, they utilize the risk and reward model- you must take smart, educated risks in order to receive the benefit of a reward. It was this type of forward thinking that lead him to implementing a training program for call center supervisors at Deluxe Financial Services. During his time there, Jim said it was his job to identify people who he knew were high performing agents that had the possibility of being good supervisors and groom them to reach their full potential. With his training program, Jim said agents who were placed in the supervisor role (which typically saw a 50% failure rate) actually reported a 90% success rate. If you’re interested in learning more about Jim’s contact center leadership training program, you can listen to the full podcast here!